Gangsters Out Blog: Is Mena, AK still involved with drug trafficking and money laundering? Is Mena, AK still involved with drug trafficking and money laundering? We know that during the Clinton administration, Mena Arkansas was a drug trafficking hub for the Agency. Little Rock was a money laundering hub for that operation. My question is, is Little Rock still laundering money for that drug trafficking network? January 7 2014 the FBI posted a press release stating that Andrew Judkins had been charged with bank fraud, wire fraud, mail fraud, and money laundering. Judkins was charged with defrauding two local financial institutions (Bank of the Ozarks and First Security Bank) and two lending companies, Wells Fargo Equipment Finance Inc. and GE Commercial Distribution Finance Corporation, December 11, 2013. Nov 8 2013 the FBI announced that an indictment charging Matthew Daniel Sweet, age 41, of Timbo, Arkansas, with 30 counts of bank fraud and 30 counts of money laundering was unsealed. This case was from Little Rock, Hilary Clinton's hub of influence through her former law firm. “Matthew Sweet, former vice president and controller at TARP recipient One Bank and Trust, allegedly abused his position at the bank to steal almost $75,000 to pay his personal credit card bills,” According to TARP records, One Financial Corporation, the parent company of One Bank and Trust of Little Rock, Arkansas, received $17.3 million in federal taxpayer funds through the U.S. Department of the Treasury Troubled Asset Relief Program (TARP). To date, these funds are still outstanding. $17.3 million outstanding not just $75,000. The Arkansas News and Arkansas Business also picked up on that story. We know that CIA agent Barry Seal was deeply involved with drug trafficking out of Mena, Arkansas and was shot dead after he became a whistleblower. 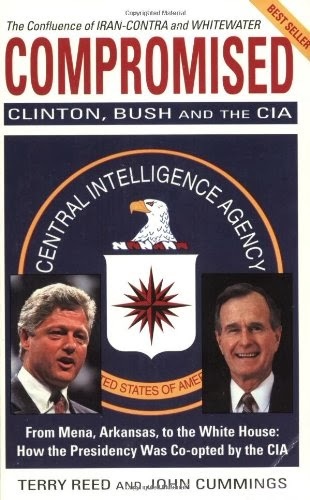 Former CIA agent Terry Reed wrote a book about the Bush and Clinton drug trafficking network out of Mena. Recently the Clinton's hit list became news in a new book published about the Clintons. Not surprising when you Google Clinton body count and add up the list of people who have died under mysterious circumstances who have crossed the Clintons in the past. Bill Clinton was of course Governor of Arkansas when the State was accused of being involved with drug trafficking and money laundering. The case originally came to my attention when Bill Clinton supported a crooked corner named Fahmy Malak who was caught tampering with evidence and falsifying death certificates classifying murders as suicides. 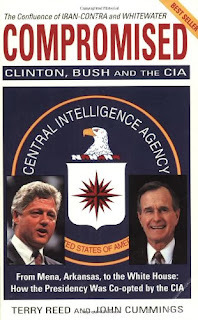 The CIA's involvement in drug trafficking out of Mena, Arkansas was common knowledge when Bill Clinton was asked about it by hard hitting reporter Sarah McClendon.